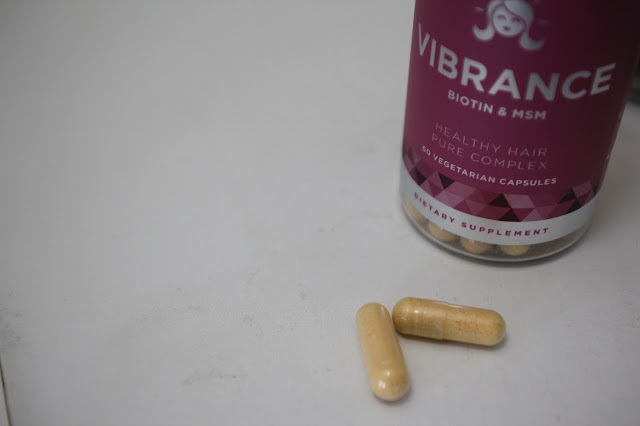 smilingrid: Vibrance Healthy Hair Vitamins Review! 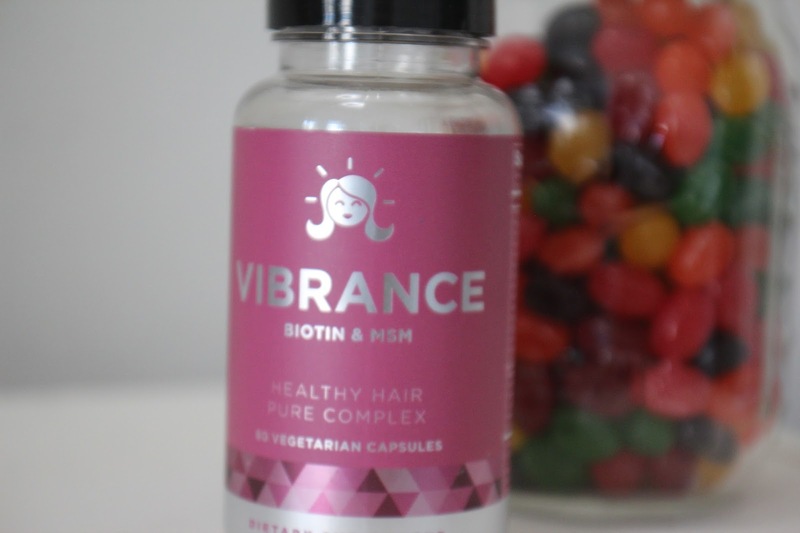 Vibrance Healthy Hair Vitamins Review! With a new ~magic~ product getting promoted by celebrities every day, I've always felt a sense of disbelief towards anything who's promises seem a bit too good. You know what I mean? 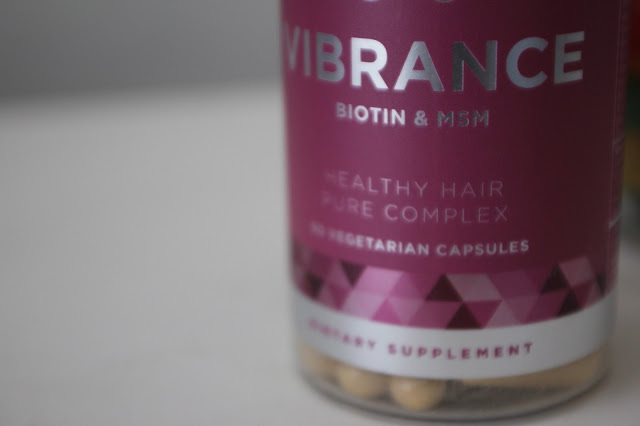 Luckily, for some reason, these Eu Natural Vibrance Biotin & MSM capsules for healthy hair bypassed the suspicion and triggered my curiosity- I cannot even tell you how glad I am that they did! Before I started these, my hair was extremely fluffy at the ends. This weird-looking 'do typically happens right before all of the ends of my hair start splitting. Basically, it means I need a haircut, pronto! But, at the time, I was moving into my apartment, starting classes, and working an insane amount to get trained up before the school year started... there was absolutely no time for me to find a new salon and got get my hairs chopped. So, with the fear of looking like a poodle for the foreseeable future/until my life got on a regular schedule (which it still hasn't, in case you were wondering! 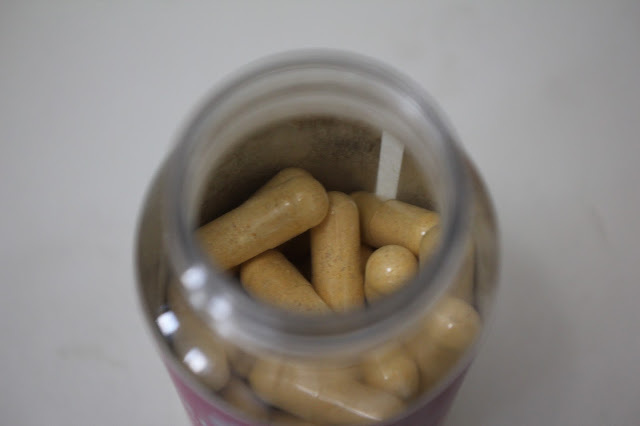 ), I turned to the Eu Natural supplement. Can we talk about first impressions for a second? Because the packaging is ridiculously cute! 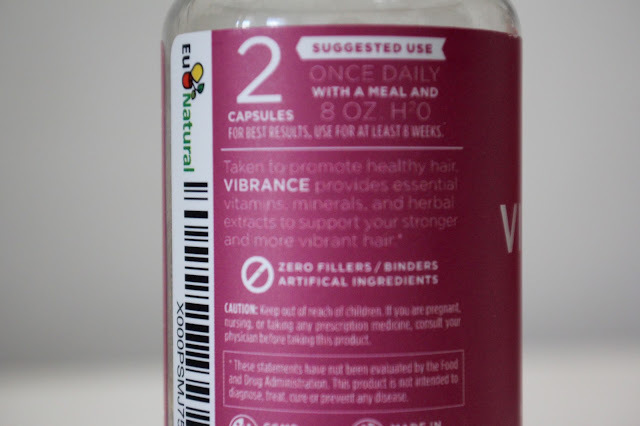 Opening the package and seeing the silvery smiley face made me grin, and turning it over and reading the back made that smile grow- the instructions read to take two pills with a full meal and 8oz of water. Why does that make me smile (and sigh with relief)? Because those are legitimate instructions for something that will legitimately work! And work it does! I wish I could show you a before and after pic (because I'm dumb and didn't realize that the results would be this drastic!) to compare, because right now my hair is smooth, shiny, and altogether instagram worthy! Get yours on amazon here. Have you ever tried any supplements like this? Let me know your thoughts in the comments!